Free Workouts-Healthy Snacks & Food, Win Free Shoes and Vendor Discounts Each Day! Mizuno Tuesday, The Trashiest Run, Racing Team and/or Volunteer Meeting –April 1st, help us clean up the nearby running paths, sidewalks and streets, while running in Madison/Middleton. Meet at Fleet Feet Sports at 6pm in your running gear, and we will provide the gloves and garbage bags for the trash pick up. We will then meet back at the store for the Volunteer Meeting at 7:30pm. Learn more about volunteering with our Allied Running Club, Ironman and other local events. Not interested in one of these, but have been interested in Fleet Feet Racing. Drop in for the Racing Team workout (also starting at 6pm), and see how speed workouts with Matt G. this year can help improve your race times! **$15 off Mizuno Shoes- Try on Mizuno and enter to win a free pair! *In-stock merchandise, not to be combined with other offers, sales or coupons. New Balance Wednesday –April 2nd, come to Fleet Feet at 5:45pm for a 3-5 Mile Run or join us at 6pm and see what New Balance No Boundaries is all about! This 5k beginner program is great for that friend or family member of yours that never thought they could walk or run a 5k in 12 weeks. New for 2014 - A Summer No Boundaries Program for the Zoo Run Run in September! ** $10 off New Balance Shoes- Try on New Balance and enter to win a free pair! *In-stock merchandise, not to be combined with other offers, sales or coupons. CEP Thursday -April 3rd, come see what compression socks and sleeves can do for you. We will also host our Crazylegs Practice Run with Observatory Hill Repeats from American Family Dream Bank at 6pm that evening. CEP compression socks and sleeves are a favorite at Fleet Feet Sports Madison! Whether we are running or post-run (or even flying) you can see us sporting these great socks at Fleet Feet! Here are just a few benefits of CEP socks: increases energy, activates blood flow and reduces risk of injury. We will be giving away 3 pair of socks or sleeves, so enter to win on April 3rd 10% CEP on April 3rd only! *In-stock merchandise, not to be combined with other offers, sales or coupons. Fleet Feet Recipe #1 will be served on Thurs April 3rdat the store: Mexican Spaghetti Squash Casserole. Come in and try a sampling from 12pm-6pm. Addaday Saturday -April 5th, come in for an Addaday massage. The staff will show you how to roll out those sore muscles. We will have massage rolling areas at the store, with assistance from the staff. Be sure to enter to win one of their great products. We will have multiple prizes to give away! **10% off Addaday merchandise on April 5th only! *In-stock merchandise, not to be combined with other offers, sales or coupons. Altra Sunday -April 6th, come test out our Force of Orange Training Program Meet at 8am at Panera Bread, 2920 Cahill Main in Fitchburg for 3 or 7 miles . Later in the day, come check out the zero drop line running shoes from Altra. The Altra Zero Drop shoes are in high demand, so come see why! Altra has different shoes for running, trail and everyday. All of the shoes have a zero heel to toe drop, but they have varying heights off the ground. Come in to check out the Instinct, Intuition, Repetition and the Altra Everyday shoes. **10% off Altra footwear on April 6th only! *In-stock merchandise, not to be combined with other offers, sales or coupons. Recipe #2: Come in during store hours for a sampling of Turkey Chili on Sunday April 6th. Saucony and Nathan Tuesday -April 8th, Saucony has quite the line up of shoes, so come in and try them on if you have not already. We also want to keep you hydrated, so come out and enter for a chance to win shoes and Nathan products from Fleet Feet Sports Madison. The Bracket Challenge 5k is also that evening at 6pm. Come out to Quaker Steak & Lube for an out and back run on Pheasant Branch. If you entered your bracket picks for March Madness, you may have earned yourself an earlier start time. 10% off Saucony on April 8th only! *In-stock merchandise, not to be combined with other offers, sales or coupons. 15% off Nathan on April 8th only! *In-stock merchandise, not to be combined with other offers, sales or coupons. Recipe #3 is Chicken Coconut Soup, so come in for a sampling during our store hours! Balega Thursday - April 10th To wrap up our fitness celebration, we will celebrate with a 10th day to prepare for next year! Come out to Wisconsin Brewing in Verona on Thursday April 10th for a Glow Pub Run at 6pm and a Glow Time Party to follow from 7pm-10pm. Come dressed to run and dance! The raffle will be held at the Brewery, but you can register to win Balega all day at the store, too! We will be giving away “Socks for a Year”, which will be 9 pair for the lucky winner! Buy 3, Get 1 Free Balega on April 10th only! *In-stock merchandise, not to be combined with other offers, sales or coupons.Presented by Race Day Events, LLC, Fleet Feet Sports Madison, and Balega. Please watch our facebook page for reminders on our 9 Days of Fitness. 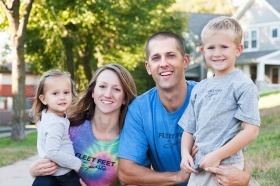 Thanks to you, our customers, friends and staff, for making Fleet Feet Sports Madison a success. Special thanks to our vendors and partners listed above for helping us celebrate! There will be a special coupon offered by the vendor sponsor each day of the celebration, so watch our facebook page for details. Also, be sure to enter the raffle each day at Fleet Feet Sports Madison, for a chance to win socks for a year, new shoes, hydration and apparel giftcards and more!